Back in January 2010 I introduced EPSRC CASE award PhD student Andrew Porter, who we sponsor in Prof Gary Black’s lab at Northumbria University. Since then we have been working with them and shared some early results on developing label-free LC-MS methods using a low-resolution ion-trap to study the C. japonicus proteome. 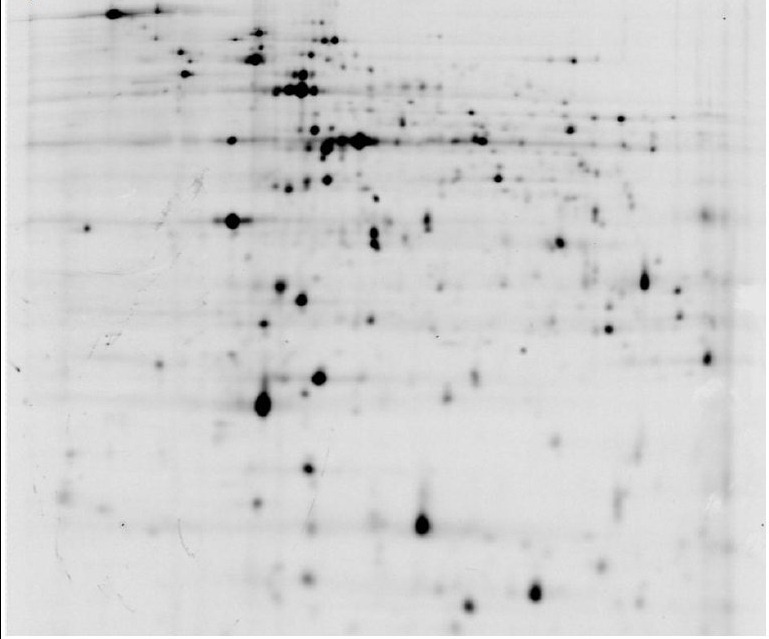 The project has now expanded to include 2D gel electrophoresis (2DE) analysis of C. japonicas, the first time this proteome has been successfully separated by 2DE. In his latest poster Andrew has compared expression changes detected by 2DE and LC-MS in response to growth on xylan, a complex carbohydrate. 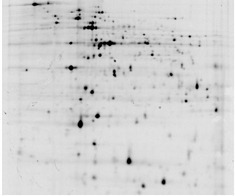 Left: The proteome of C. japonicus grown on xylan substrate successfully resolved by 2DE. Right: Label-free LC-MS used with gas-phase fractionation to increase proteome coverage by 25%. 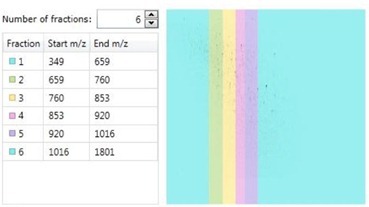 Progenesis LC-MS automatically calculates the m/z ranges needed to generate the same number of features per fraction. C. japonicus is a soil bacterium capable of breaking down plant material (lignocellulose) into raw materials for bioethanol production. Understanding the proteins involved in utilising complex carbon sources can lead to bioengineering designed to improve biofuel processing. Andrews approach included the use of Progenesis LC-MS with Gas Phase Fractionation (GPF) to quantify and then identify 25% more of the proteome compared to LC-MS without GPF. This is due to the selection of more precursors for MS2. The significant differentially expressed proteins present(based on p-value <0.05 and fold-change >2) when the organism was grown on xylan compared to glucose were identified. The 2DE approach used IC5 (Dojindo Laboratories) stained 2DE gels for detecting differential expression, an alternative to Cye Dyes (GE Healthcare). Analysing the spot patterns from two sets of 6 replicate samples produced a list of 49 significant, differentially expressed proteins when C. japonicus was grown on xylan compared to glucose. In a final step, the top 24 most abundant proteins detected in samples grown on xylan compared to glucose were compared between 2DE and LC-MS. The most abundant proteins detected by LC-MS were based on MASCOT scores and the most abundant proteins detected by 2DE were based on normalised spot intensity. Only 7 proteins were found in common between them. So, combining analysis results from both techniques will be used to reinforce and validate findings in lower abundance proteins, which are more commonly associated with carbohydrate degradation. Only seven proteins were found to be common in the top 24 most abundant, when C. japnicus was grown on xylan, detected by both 2DE and label-free LC-MS with gas-phase fractionation. This shows the benefit of applying complementary approaches to increase your overall proteome coverage. 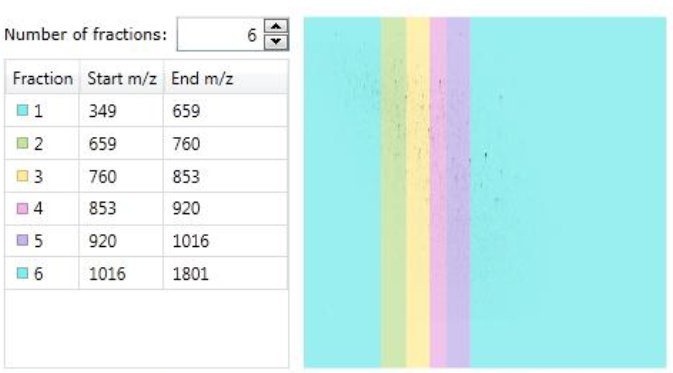 This shows the advantage of applying two complementary techniques to increase the detected expression changes you can discover within your proteome of interest. Progenesis software supports this with a common approach to analyse different data types. It allows you to quickly become confident in using either approach and generate results for publication. The latest features in Progenesis SameSpots also allow you to import lists of protein identifications, generated by LC-MS/MS, and assign them to your detected spots. This builds up a 2D gel map of your proteins of interest for future reference. You can download Progenesis SameSpots and download Progenesis LC-MS to try the common workflow and individual features with your own data. If you need any help to get started or would like a demonstration, get in touch, and we can arrange this with you. This entry was written by Paddy Lavery, posted on May 9, 2012 at 3:45 am, filed under May 2012. Bookmark the permalink. Follow any comments here with the RSS feed for this post. Post a comment or leave a trackback: Trackback URL.